I am a final year student reading Aeronautical Engineering at Imperial College London. I am interested in tutoring maths at all levels from GCSE to degree level. 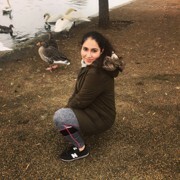 I have over 5 years experience in tutoring and hope to continue helping students improve their understanding of mathematics and achieve the grades they’re aiming for. I have taught at a professional tutoring company for 3 years and worked as a private tutor for 2 years after that.